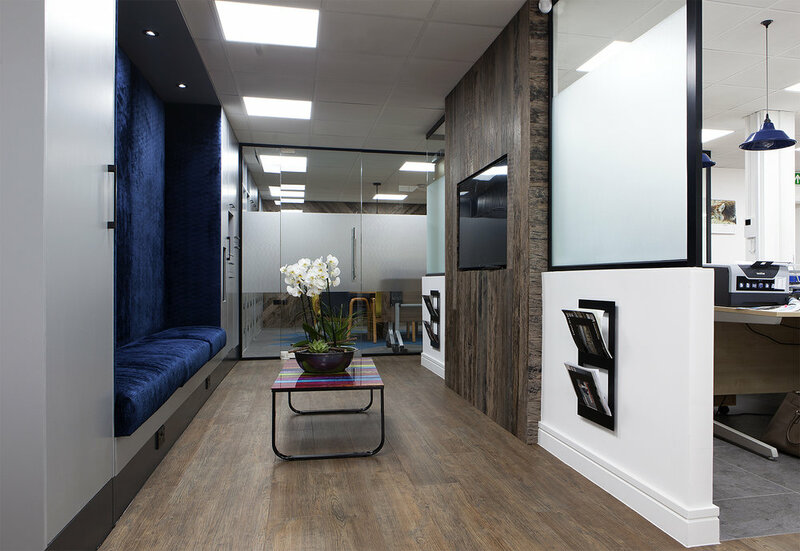 Complete refurbishment and fitout of an office for a firm of property lawyers in North East London. As you walk into the office you are greeted with a large feature mesh signage wall with the company logo illuminated with hidden LED strip lighting. Inside there is a mixture of communal and glassed-in offices surrounded by unique interior design features. 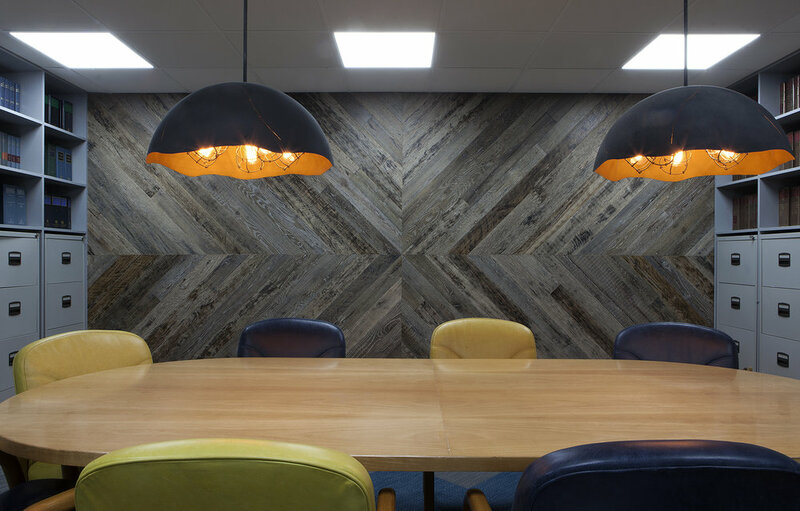 Breakout spaces include quirky kitchen facilities, bespoke fitted joinery and feature fittings such as lighting and reclaimed timber cladding.